Big News! Looking for gifts for loved ones? Crimson Tate :: Modern Quilter has two kinds of gift certificates. We’ve got the run of the mill gift certificates that can be used for store merchandise, notions, and even classes and whatnots. Plus, we are offering gift certificates specifically for sewing classes. In the spirit of holiday gift giving, we are running a one day special on gift certificates to be used for sewing classes. Purchase a gift certificate* for sewing classes or lessons at a 10% discount. $45 gets you $50 in classes! Exciting, hey? 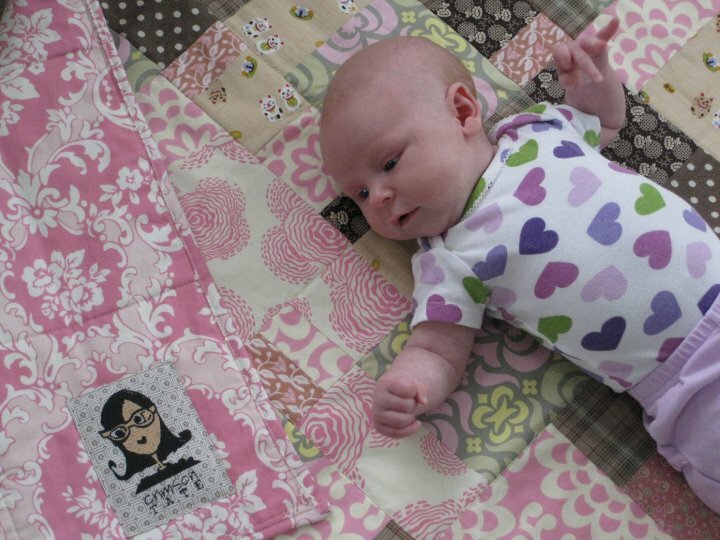 It’s a pretty swell gift for the person in your life that wants to learn to sew or perhaps they sew already but want to construct a specific project, like a baby quilt, in an awesome atmosphere picking up helpful tips here and there. C’mon by! We’ll hook you up on Small Business Saturday, November 26th. *Sewing gift certificates purchased at a discounted rate may only be used toward sewing classes or lessons throughout 2012. General merchandise gift certificates purchased at Crimson Tate are not eligible for discounts at initial purchase but are able to be used for all goods and services Crimson Tate provides.